My Easter Table Topper directions are now available as a pdf, so make sure to download it if you plan on making one. 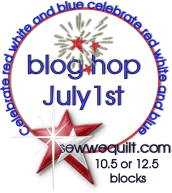 Have you heard about the Red, White, and Blue blog hop going on this summer at Madame Samm's? I'm participating and can't wait to collect my red white and blue scraps and start sewing! Some very creative people have sent me photos of some of their great work this week and I thought I would share. 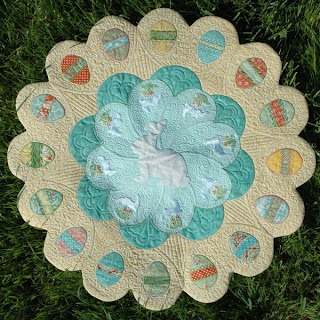 Look what Jacque of Lily Pad Quilting created with my Easter Table Topper pattern! I love the basket of additional eggs that she placed in the center. Why didn't I think of that? And Marilyn used Me and My Sister's Amelia fabric to create a vibrant version of my Beflowered pattern. 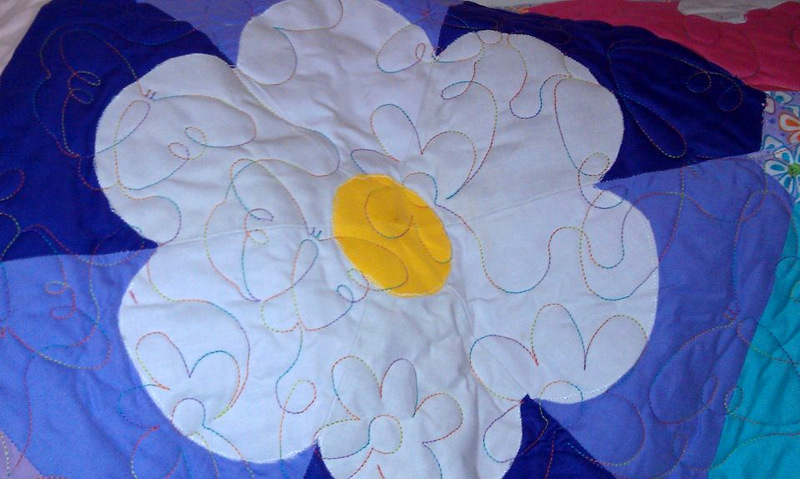 Love it - expecially the color choice for the quilting thread! 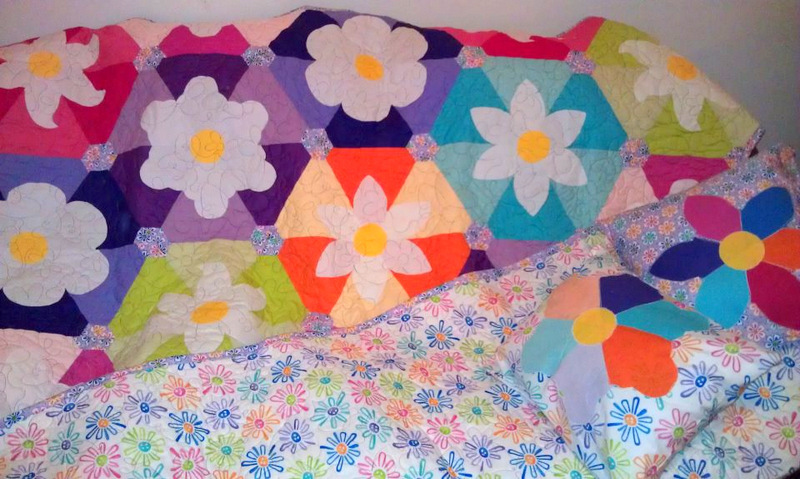 I'll be back late tonight to post about my Quiltmaker block, along with a fun giveaway! saw Jacque.s she did good didn't she? Aww, thank you so much for the kind words! I enjoyed using your pattern, and was so happy with the results! I even had pieced charms left over, so I am planning another design! I'm looking forward to the RWB hop - glad you are joining in the fun!